This is a surgical procedure to remove the tonsils and both the adenoids. Tonsils and adenoids are lymphoid tissue and part of the immune system, but their role is limited. Removing tonsils and adenoids does not weaken the immune system. Instead, their removal may reduce the frequency of illnesses in some children. 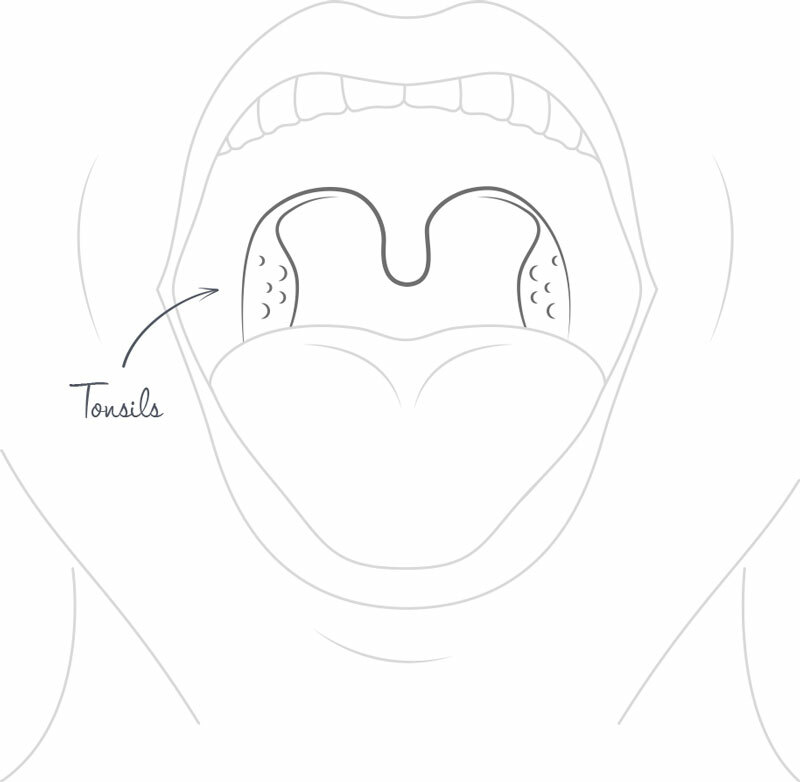 A tonsillectomy is performed in response to repeated occurrence of acute tonsillitis. For children, the adenoids are usually removed at the same time. When tonsils and adenoids became enlarged, they can cause narrowing of the airway during sleep, which makes it difficult for your child to breathe, resulting in snoring. It can also cause a difficulty in eating, continuing nasal discharge, infection of the sinuses (sinusitis), and changes the growth of the upper jaw and position of the teeth. Chronic adenoid infection may contribute to glue ear and repeated ear infections due to swelling and redness of the tube between the throat and middle ear (Eustachian tube). Tonsillectomy and adenoidectomy have an excellent chance of eliminating obstructive sleep problems. If a child has fatigue, irritability, or concentration problems due to poor sleep quality, then these problems can also be improved. A child may eat better and gain weight after tonsillectomy and adenoidectomy. In addition, the surgery often allows a child to breathe better through the nose which potentially can help with normal facial and dental development. Although removal of tonsils and adenoids have multiple potential benefits, these benefits cannot be guaranteed in every case. 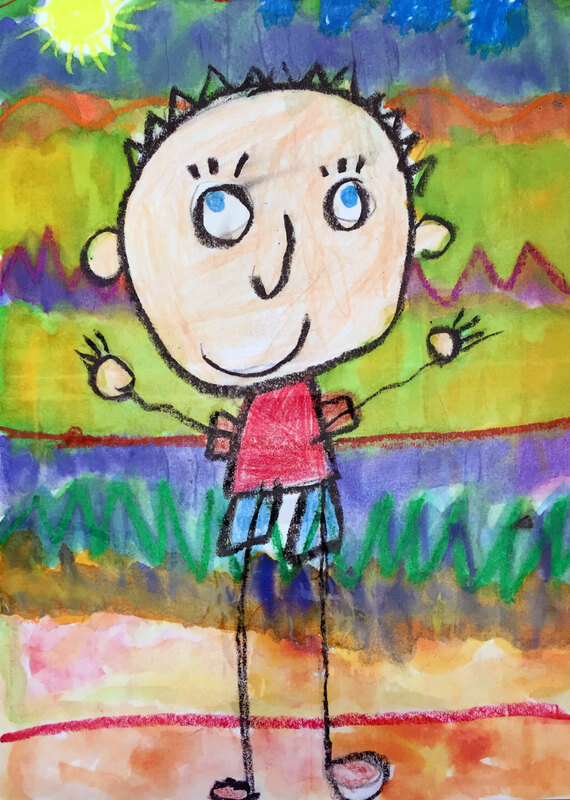 Before the surgery, Dr Kluge will attend to you and your child, if you have any concerns, please do not hesitate to ask Dr Kluge or the attending nurse. You will be able to accompany your child to the anaesthetic room. Once the child is asleep, both the tonsils and adenoids are removed through the mouth without any external incisions (or as discussed with Dr Kluge). Infection: A local infection may occur in the tonsillectomy bed. If an infection does occur, it can be treated with antibiotics. Post-operative bleeding: Bleeding can be immediate, within the first twelve hours after surgery, or it can be delayed, occurring sometimes up to fourteen days after surgery. Every effort is made during the operation to prevent immediate bleeding. Delayed bleeding is usually due to separation of the scab covering the surgical bed. Pain: Post-operative pain is very common and can last up to two weeks. Patients may complain of sore throat and ear pain. Ear pain is typically referred from the throat and rarely due to an ear infection. ​Voice Change: Occasionally patients may develop a different quality of voice after tonsillectomy and/or adenoidectomy. Usually this is described as “nasal speech” and it can be permanent, although rarely. Results: Even after tonsillectomy and/or adenoidectomy, patients can still have occasional sore throats and ear infections. Anesthesia: There are risks associated with any type of anaesthesic. You can discuss these risks with your anesthesiologist before your surgery. The risks of serious complications are very small, but please take note that the main risk of a tonsillectomy is bleeding – this occurs once the scabs from where the tonsils were removed, starts sloughing off (approximately 7 days after the surgery). A tonsillectomy with or without the adenoids is very painful and your child may have a sore throat for approximately 10 – 14 days after the operation. Proper hydration is very important since dehydration will lead to worsening of pain. You will notice white areas in the throat where the tonsils were removed – this is not an infection and will resolve within the next 2 to 3 weeks after the operation. Bad breath is also very common during healing. The possibility of blood-stained saliva, nasal discharge or bleeding after the operation is completely normal. Some children’s voices may differ after the operation but will return to normal after 3 to 4 weeks. It is also possible to experience a change in their sense of taste, but this too shall return to normal. Avoid using very hot water when bathing. Avoid drinking liquids and eating food that is too hot and spicy. Try not to cough, sneeze or blow the nose. Take note of children swallowing constantly – it may be that they are swallowing blood. Biltong, toast and rusks (to scrape/clean the scabs). Ice cubes or ice cream can be taken prior to the meals as this anaesthetises the throat (to keep the blood vessels is spasm). Coke or any other fizzy drinks will help to keep the wounds clean. Chewing gum keeps the throat muscle supple and promote healing. It is of the utmost importance that patients do not consume any fluids or food for at least 6 hours prior to the procedure. Regarding patients under the age of 18 months, or diabetic patients, please consult with Dr. Kluge regarding a possible change to the above mentioned list of foods.